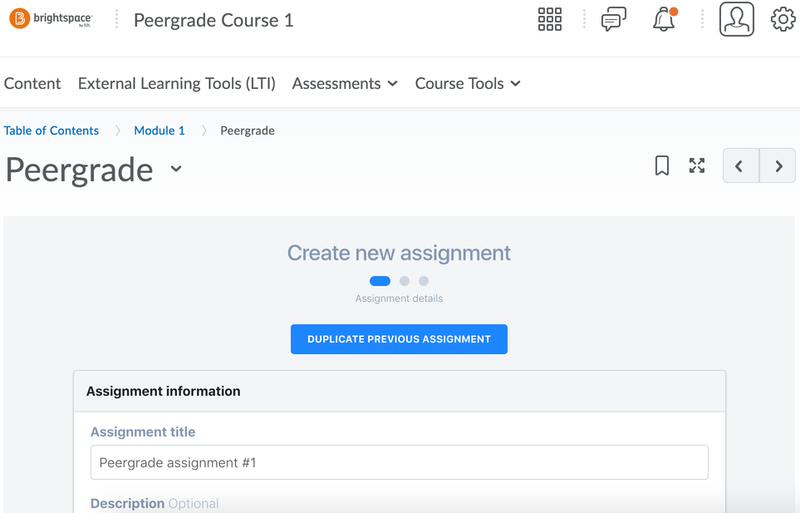 This guide explains how to add a Peergrade assignment to a Brightspace course from inside Brightspace. 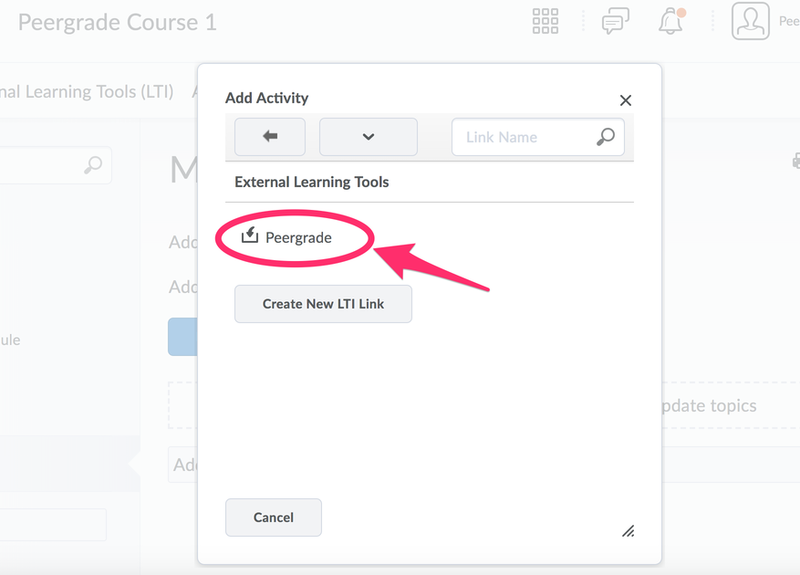 This assumes that an integration has already been set up between Brightspace and Peergrade by your IT administrator. 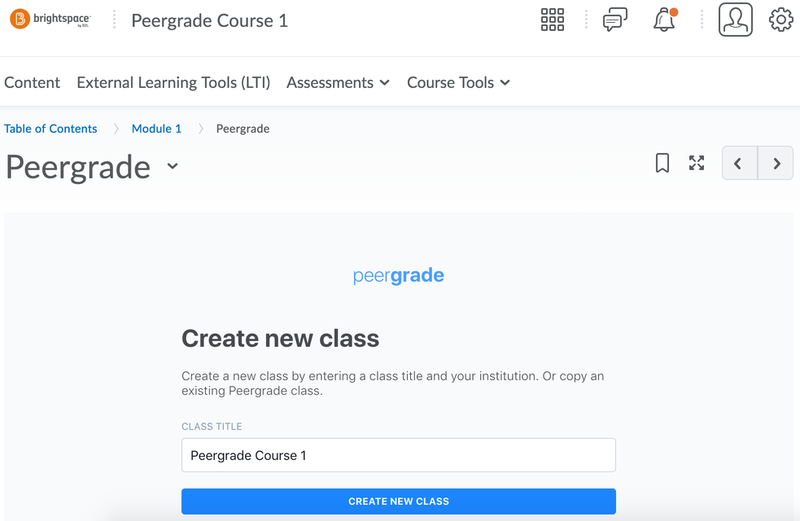 First – some basics: A course in Brightspace is called a class in Peergrade, and activities in Brightspace are called assignments in Peergrade. 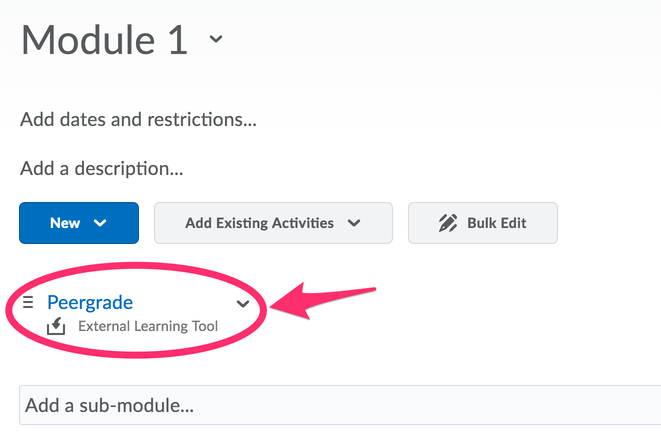 Go to your course in Brightspace, and go to the Content section. You can rename the activity to whatever you like e.g. "Assignment 1" or "Peergrade assignment #1". 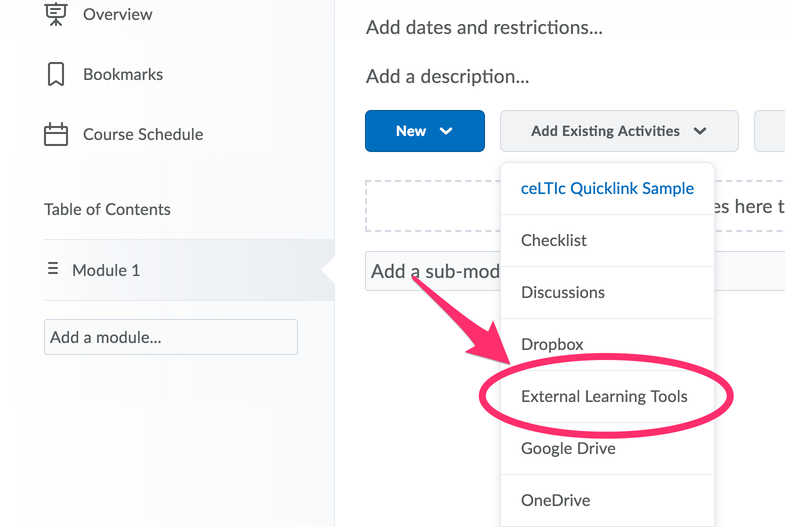 After this you'll be shown a small box saying "Assignment information"
Here you should type in the name of the activity, preferably it should match the name of activity in Brightspace, e.g. 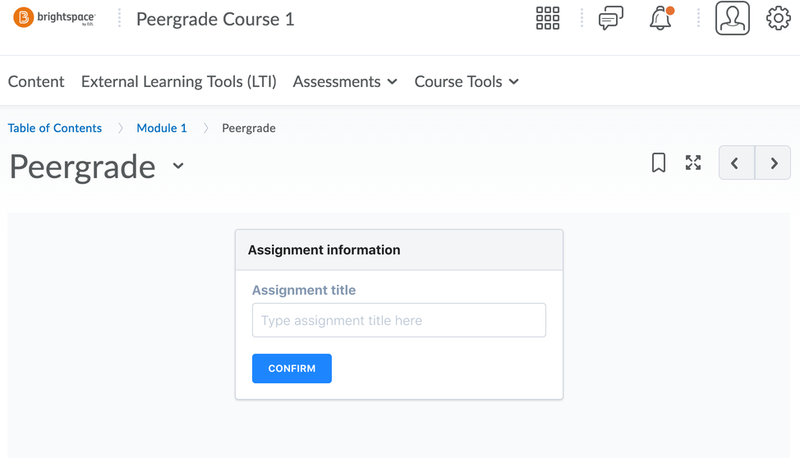 "Peergrade assignment #1". After going through the three steps, you're all set! 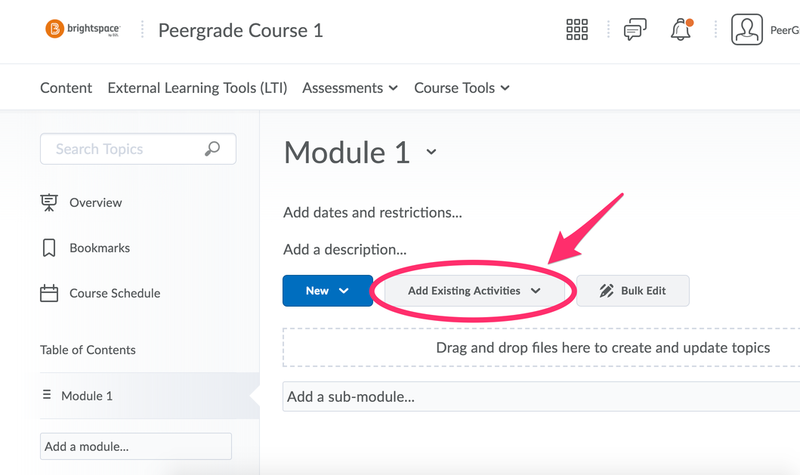 Students clicking the Peergrade activity will go to the student's view of the assignment and will be able submit, review, and react on the assignment as according to the deadlines and settings of the assignment.